As my wife and I recently welcomed our second-born child, we thought and collaborated about what we learned in this pregnancy. By ‘what we learned’, I am referring to what God taught us; things that transcend how to assemble a crib to how do we interact with suffering—even the suffering of pregnancy. Below is a simple representation of what we concluded and we pray that as you engage your pregnancy, or the pregnancy of a loved one, that you too would redeem your pregnancy. As you experience the joys and trials of nine months of carrying another human being, feel deeply about the sanctity of life. A mom cannot feel the baby in her womb without thinking of a life that is growing inside of her. May this cause you to have a heightened value of that life. God is working inside of you the miracle of life. A baby is being formed and knit together inside of you at the cellular level (Ps. 139:13)! The process of human life is beginning inside of you. Feel that, marvel in that, praise God for that, and passionately believe that. Do not give into a culture that wants to hold a high-view of human rights and a low-view of the sanctity of life. Let your motherly intuition show and confirm that what is inside of your womb is indeed human and life-full. Therefore, prize that life, value that life, and hold firmly that the baby in your womb is a person created in the image of God (Gen. 1:27): hold firmly that life is sacred. As you witness the miracle of life forming within you, always let that be a cue for praise to God. When you visit Baby Center or read charts on the growth of your baby, let those be stimulants for praise within your life. When David thought of the complexities of gestation, it was a time for him to remember the omniscience of God (Ps. 139:15), so how can you reflect praise as you think on your baby’s formation? Perhaps you could reflect on the faithfulness of God to provide doctors? Or you could praise the grace of God for epidurals (my wife says, “Amen!”)? Or you could praise the creative work of God in forming your child? Whatever that looks like, let your pregnancy be a reminder to praise our good God. Pregnancy will reveal your hearts attitude (Prov. 4:23). You now have a ‘legitimate’ reason to demand. So do you? You can now maximize your suffering and minimize your responsibility. So do you? You can now be pampered. So do you? Many women fall into the trap that pregnancy is a sanctioned time of emotion-led, hormone dictated responses to life. Yet, Scripture teaches that God has given us the means to be Christlike in every context of life—even pregnancy (2 Pet. 1:3). Of course you will need to rest more, but are you more ‘cranky’? Are you snapping on people rather than considering their needs as more important that your own (Phil. 2:3-5)? Pregnancy will not make you into something that you are not already. It will simply—under the pressure of a growing baby—reveal who you are. Maybe you are a dormant critic who is exposed in your pregnancy? Maybe you love to be pampered and now you have the opportunity to demand that pampering? Guard your heart and evaluate your heart during pregnancy, while living out that it is better to give than to receive (Acts 20:35). Are you longing for Christ’s return like you long for the birth of your child? 2 Timothy says that all those who love the appearing of the Lord (2 Tim. 4:8) will be judged by Christ. Meaning, there will be people who love Christ’s return and people who will not. So that leads me to ask, do you love Christ’s appearing like you love your child’s appearing? Are you counting the days until the return of Christ like you are counting the days until your baby arrives? Or is that not even on the radar for you? One of the prayers that my wife and I consistently prayed is that God would help us to long for the coming of Jesus like we did the coming of our child. In this time of great excitement, how will you encourage those who cannot have children? Because in very real sense, every time they hear a lady is pregnant, it is like an old injury returns. When you feel joy and excitement, they are reminded that they might never take a child to their first day of school. Or they might wonder what Thanksgiving will look like for their family, with no kids around the table. Please be sensitive to the fact that some wombs have been closed by our God, even though yours has not. This does not mean that your pregnancy should be void of great joy to you and your family but it does mean that you are not flaunting the blessings you have received. When the body of Christ hurts, every member feels it (1 Cor. 12:26). So in this time of great joy, be sensitive to the pains of those women who are barren. They would gladly experience the morning sickness, sleepless nights, and swelling ankles to welcome a child into their home. While they should never transpose their pain into your joy, you should never try to transpose your joy into their pain. Finally, be aware of your tendencies during your pregnancy. As mentioned above, your heart will become radically apparent under the pressure of a growing womb. And in that pressure, ask if you are constantly complaining? Paul (writing this while on house arrest) said that we are to “do all things without grumbling or complaining” (Phil. 2:14). The hard part is that this includes your pregnancy! As if that were not a big enough jab, evaluate if you have shifted from encouraging and serving others to being encouraged and served. Pregnancy is not a hiatus from ministry. It is rather a nuanced time of ministry. No, you may not be leading Jump Rope for Life but you can lead of team of women who write encouragement letters. No, you may not be able to sleep for six hours per night but you can help babysit for a mom in need. One of the most terrible tragedies in a pregnancy is when a woman lets her universe become self-centric: her rest, her food, her comfort, her pills, her pain, and her cravings become the axis upon which everyone must rotate. 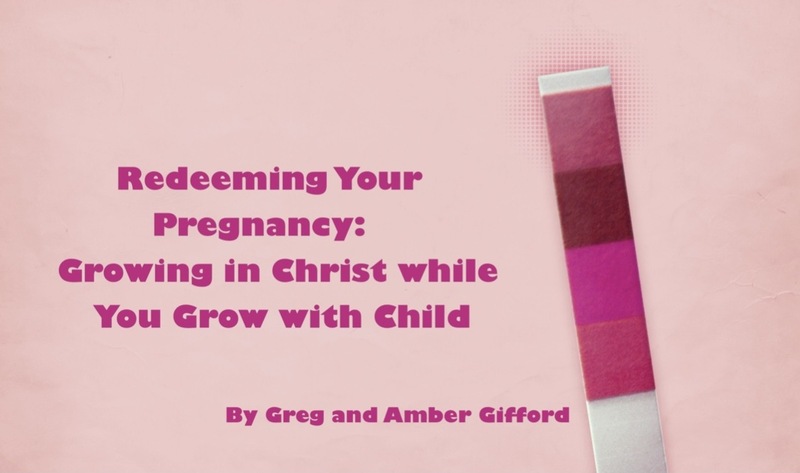 Therefore, be on guard against the subtle temptation to make your pregnancy about you! By Greg E. Gifford in article on October 28, 2014 .